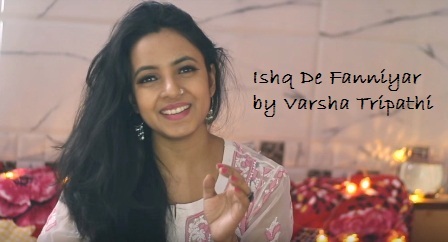 Ishq De Fanniyar Lyrics from Fukrey Returns: Ishq De Fanniyar song Female Cover by Varsha Tripathi as a single song from Bollywood movie Fukrey Returns, song mix by Nikhil. Originally song "Ishq De Fanniyar" as female singer sung by Jyotica Tangri, music composed Shaarib & Toshi, while lyrics are penned by Kumaar. Jo Kosis Bhi Ki To, Jamana Yaad Dilayega"
O.. Sohne rang de Mahiya..
Sohne rang de Ranjheya Haaye..
O... Sohne rang de Mahiya..